MI5 probably does not need an introduction. 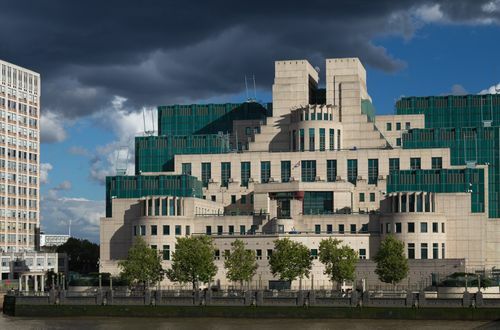 The famous British intelligence agency played a major part in many Hollywood movies, including the James Bond series. Yet, to succeed in the MI5 Graduate Application you probably will have to forget all that and concentrate on pure facts. To begin with – the competition for any of the three Graduate Programs will be extremely fierce. Secondly, you might want to familiarize yourself with rigorous criteria for future candidates, because if you will have to share anything with Jame Bond, it will be uppermost secrecy. MI5 Security Questionnaire is a part of the Developed Vetting Programme, which essentially is a form of security clearance that is required for certain governmental positions in the UK. Unlike in standard application processes, during which candidates’ alignment with the company is calculated solely on the basis of their culture, personality, and skills, at MI5 candidates must undergo the vetting process first. The aim of the vetting is to verify if an applicant’s characteristic ( yes, that includes past behaviors) and his or her personal circumstances allow them to be qualified as reliable enough to be trusted with sensitive information or assets. Psychometric tests are a key component of MI5 Application Process. You will be required to sit Verbal Reasoning, E-tray and Situational Judgment Tests. It also might be handy to have a look at Personality Tests, to find about your strengths and weakness to better prepared for the detailed series of interviews you will have to face. The MI5 Verbal Reasoning Test comprises of a series of paragraphs which you will be required to read and a set of questions matching the information provided in paragraphs. Your answer options will be True, False or Cannot Tell. Before you skip this section, we have to clarify - it’s not just the ‘e-mail skills’, so you might want to consider preparing yourself for this exercise as well. In fact, rather than checking your e-mail literacy MI5 E-Tray exercise is a simulated work task measuring your probable performance in the company’s workplace. In essence, MI5 Personality Test will assess if you fit the specific role you are applying for and the “secret service” in general. But other than that, it also aims to decipher your mind and see what kind of person you are, what motivates you, and where your weakness lies. We don’t need you remind you, that the answers should be honest as these tests are designed to point out any discrepancies, however, it’s also important to remember that some qualities for a specific programme might be worth stressing more than others. Telephone interviews can be daunting. Especially, when someone lacks the confidence to talk to strangers on the phone. The awareness of this conversation being the first interaction with someone from the MI5 only makes it even more stressful. So it’s important to know how to snap out of that nervousness. MI5 Assessment Centre is unlike anything that you have experienced before. Or everything that you did, but with an extra level of difficulty. It is usually a mix of individual and group activities, that will further verify your logic interference, verbal reasoning and communication abilities, as well as a capacity to formulate strong judgements. The exercises will differ depending on the job position you are applying for, but make sure you are prepared for all scenarios. Below you can take a look at what you might expect and how to prepare your all-conquering strategy for the assessment day. You will be asked to write at least one report based on the plethora of reading you would be supplied with. The trick is to analyze the information pack, carefully but quickly. At this stage it is important that you have understood the MI5 culture and your chosen division thoroughly. These exercises will vary, but the general skills that the assessors are looking for is a good balance between teamwork and leadership skills. You might want everyone in the room to see your great leadership skills, but approach the group exercise rather as a test of your collaborative and teamwork abilities than a show of a directorship. The most common way of verifying these skills is through a group discussion on a divisive topic of or a hypothetical black scenario to which a quick solution is needed. The Competency Interviews are a further step of validating your application. You might expect even more detailed questions related your work experience and University achievements. Some questions related to the vetting might occur. Remember to stay calm under pressure and be yourself to get through these last steps of the MI5 Application Process.